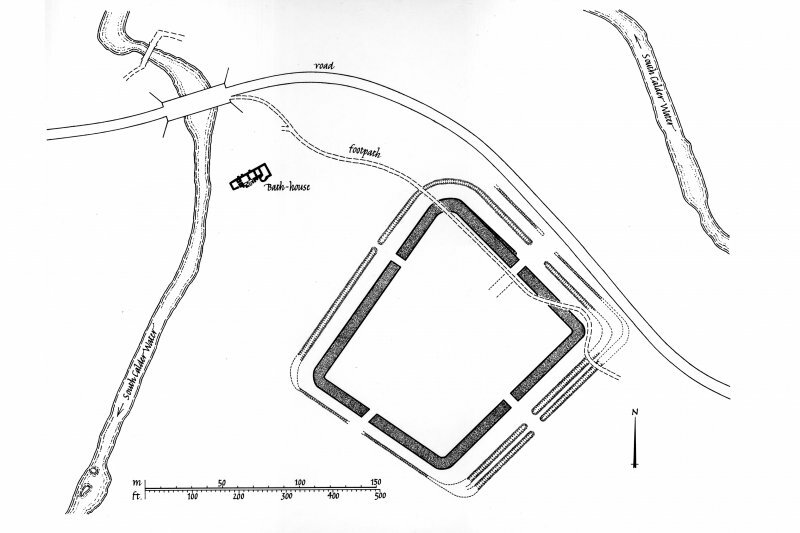 Publication drawing of Bothwellhaugh Roman Fort and bath-house. Digital image of LAD/186/1/P. View of south west end of bath house. View of north east end of bath house. View of bath house from north west. NS 729 578. 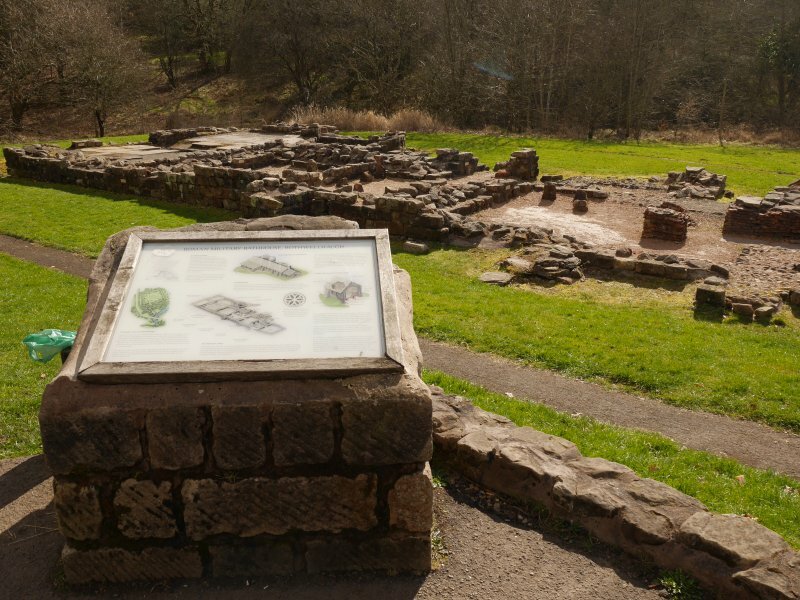 A Roman bath-house was discovered in 1973 close to the left bank of the South Calder Water 95m NW of Bothwellhaugh Roman fort (NS75NW 2). It was fully excavated in 1975 before the area was to be flooded by an artificial loch. It was a normal type with a coldroom, two warm rooms, a hot room and a semi-circular plunge bath (which was apparently a secondary addition). Brick, tile, and sherds of Antonine date were recovered. RCAHMS 1978, visited 1973; G S Maxwell 1975; Curr Archaeol 1975. NS 7295 5788. The 1975 excavation has been backfilled but the extent of the investigated area can be detected in the present turf-line. The waters of the loch have not covered this area as originally planned (RCAHMS 1978) and the small adjacent pond (shown on OS 1:1250 1959) has been drained. Visited by OS (MJF) 13 March 1980. 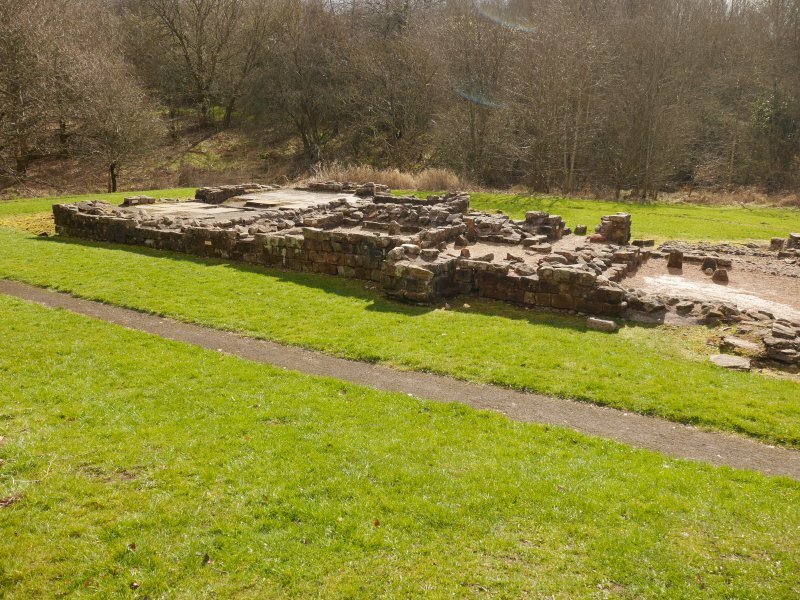 In September 1980 the Friends of Hamilton Museum proposed to re-excavate the remains of the bathhouse, dismantle and rebuild it on the present ground level. 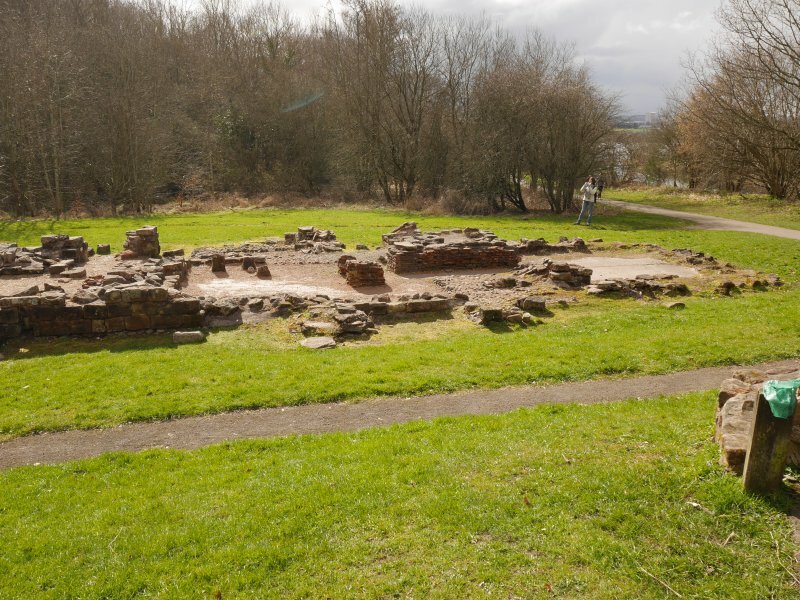 On approval from the Ancient Monuments Board for Scotland and accepted by the Manpower Services Commission as a Youth Opportunities Project, Motherwell District Council undertook the work to present the remains to the public as a permanent attraction within Strathclyde Country park.